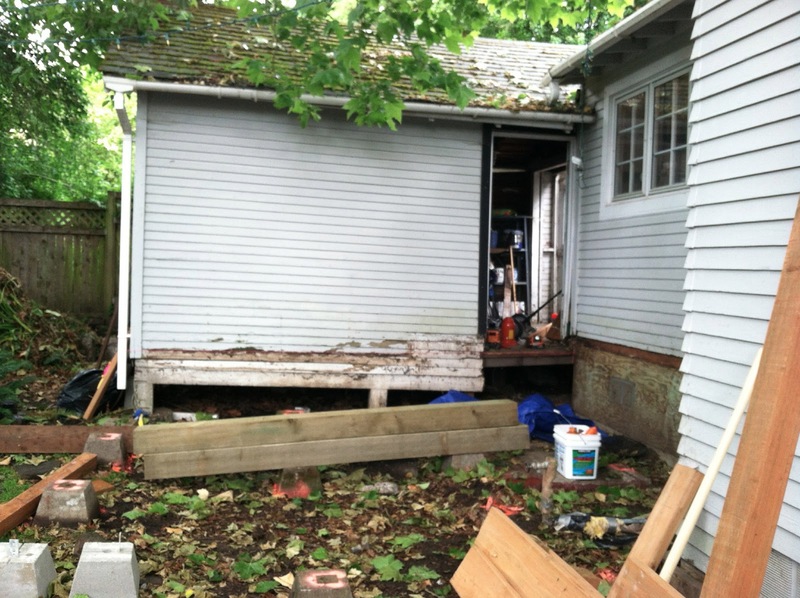 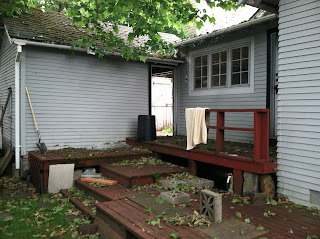 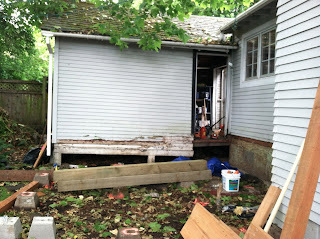 This funky multi-tiered deck was dry rot damaged, and not very functional. 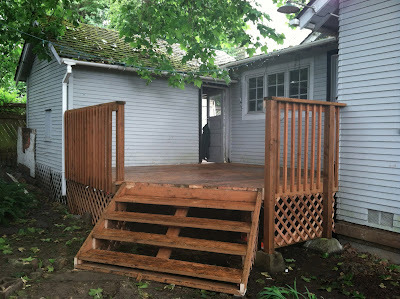 Consider It Done started by removing it. There it is...a large, functional backyard deck. 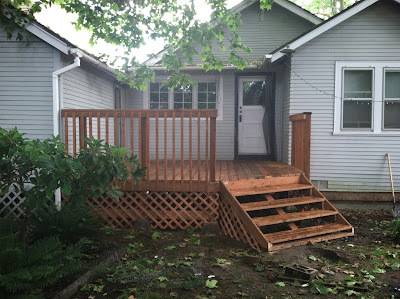 The new deck design looks like it's always been here. 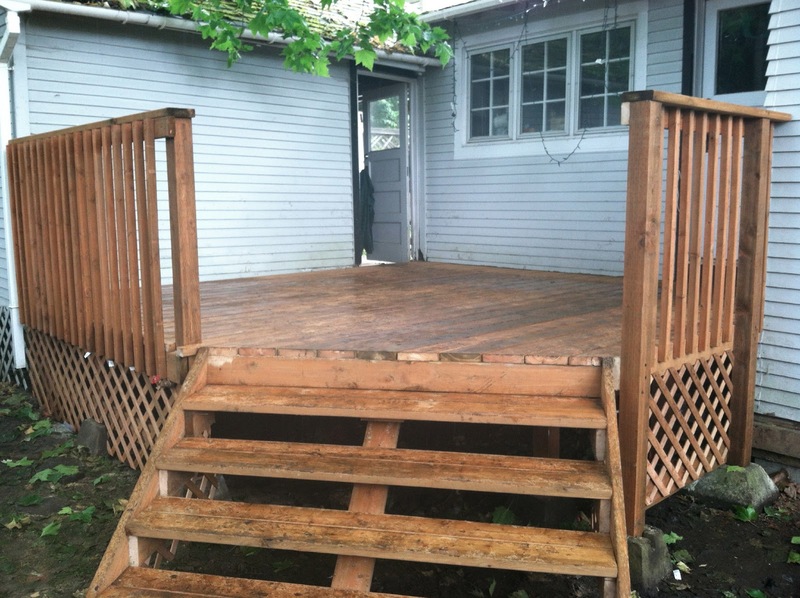 This young family is going to get a lot of use out of this new deck!